That's one more home run for the Babe. The gold pocket watch George Herman "Babe" Ruth was given at the 25th anniversary of Yankee Stadium in 1948 -- his last appearance there before his death -- is expected to fetch at least $750,000 at auction. The 14-karat pocket watch is the only significant Ruth artifact ever offered directly to the public by the Ruth family. The watch that the New York Yankees gave to Babe Ruth in 1948, is up for auction. Just two months later, Ruth died of the throat cancer that had been apparent at the Yankee Stadium ceremony, when he appeared a frail shadow of the robust player whose hitting led the Yankees to four World Series titles and seven pennants in his 15 seasons with the club (1920-34). The Bambino had already won three World Series previously with the Boston Red Sox. Most of Ruth’s personal memorabilia was gifted to the National Baseball Hall of Fame shortly after his death, but the watch was kept by his wife Claire and given to her grandson Tom Stevens in 1974. Dan Imler, vice-president of SCP Auctions, which is conducting the online auction www.scpauctions.com, said bidding started last week at $50,000 and was up to $229,755 on Friday morning. He expected bidding to increase and peak on Saturday (May 17) at upwards of $750,000. 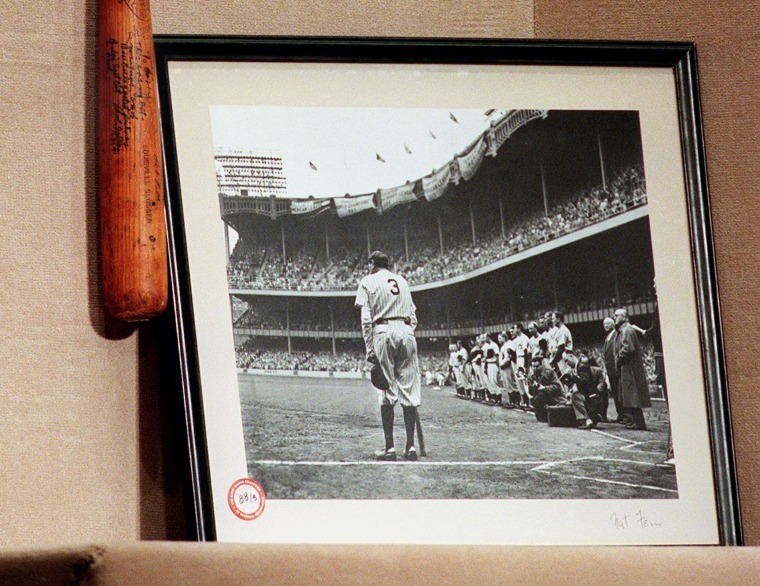 “This is the most significant item among only a handful of Babe Ruth’s personal mementos that his family has retained,” said Imler.